At Whole Woman’s Health, we take a lot of pride in saying (and giving) what we call holistic abortion care. It’s a foundation to the way in which we provide medical care and it results in a better, more compassionate experience for the patients we see. But really, treating patients holistically is an actual thing, and it results in better healthcare. 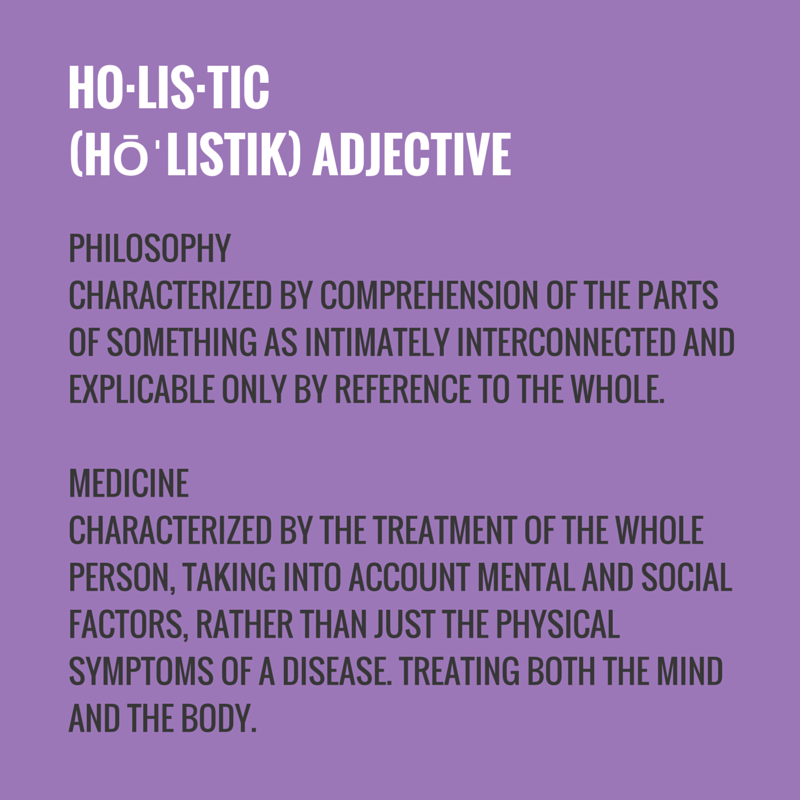 To start, let’s look at what the word holistic actually means. When patients make the initial call, our EmpowerLine asks open questions to determine if there is any need for financial or logistical help, and then goes ahead and helps them. Rather than make assumptions, we ask questions like “What matters most to you?” or “What brought you here today?”. We give the space to let the patient tell their story, uninterrupted. We offer pregnancy and abortion options counseling, so that if there is a conflict between the head and the heart we can help the patient navigate these feelings and come to a decision that her whole self can support. Each of our rooms is dedicated to an amazing woman, from past or present, complete with their quotes on the wall. This is to honor the heart, and to remind everyone who walks through the door that great women and people often face adversity while on the path to self determination. It reassures, the architectural version of a hug. At the end of the visit, we provide each patient with a warm cup of TranquiliTea – our custom tea blend to ease cramping and lift the spirits. The list goes on from here. If you live in Texas, New Mexico, Minnesota, or Maryland, and you are seeking an abortion or reproductive care across the spectrum, or you would just like to see what holistic care looks like in action, please give us a call or stop by. We would be honored to care for you.